Whetstone Branch, on Walkers Mill Road. Part of the mill race may be seen downstream at the juncture where the Midcounty Highway crosses Whetstone Branch. Nathan James Walker, Nathan Walker, Nathan Asbury Walker, John Lawson, H. Winfree Irvine Jr. It was a grist and saw mill. March 10, 1723 Fellowship tract for Nathan Wickham and Samuel Pottinger contained 400 acres on Whetstone Branch it included Charles Saffell and Nathan Cook farms. 1849 Nathan James Walker purchased 190 acres from Charles H.C. Orme for $900. In 1867 he purchased more land. It was referred to as Raley(sp?) Knoll Farm. 1877 Nathan Walker built the mill. It had an overshoot wheel. A wicker dam was used for the millpond. The mill run has a concrete reducer before the wooden sluice box. 1913 Nathan Walker's son, Nathan Asbury Walker (b.1865 d.1935) purchased the mill from his father. 1940's John Lawson purchased the mill and renamed it Spring Valley Mill. He converted the mill to a roller flour mill. 1961 the Irvine's purchased the mill. 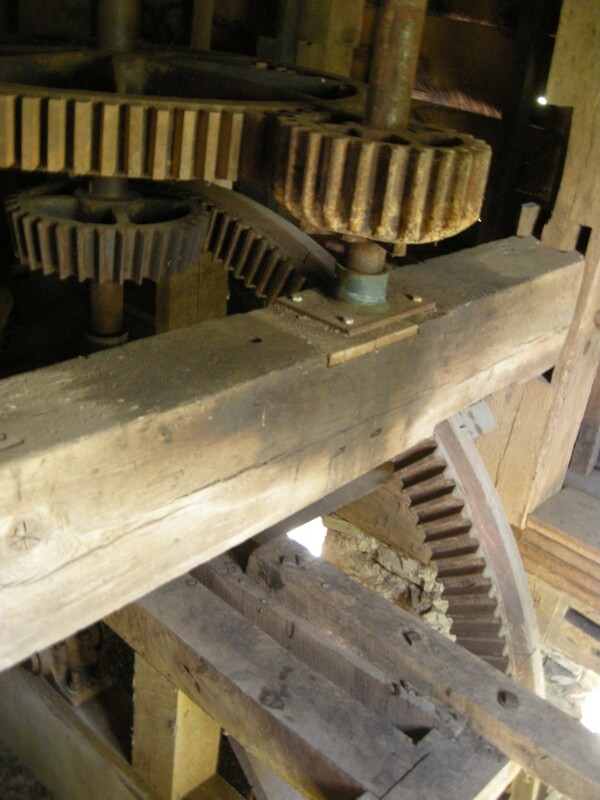 They restored it to a grist mill over a period of 20 years, starting in the 60's. It has two stones. It milled corn, barley, and wheat. It mechanisms are complete and are lacking only the water wheel to drive them. The overshoot water wheel had a 14 foot head. The mill is two stories high plus a half cellar. 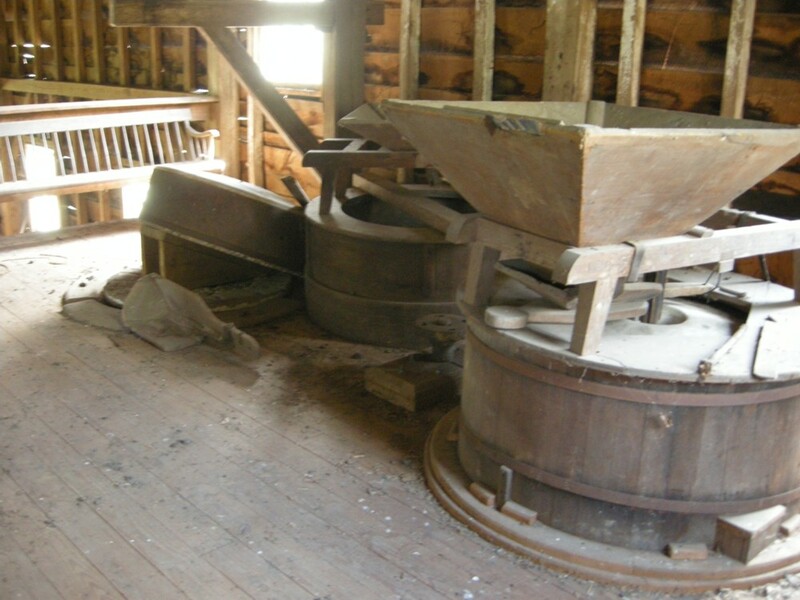 The grain was loaded directly onto the 2nd floor where the mill stones are located. They are French burr mill stones. The bottom stone rotated while the top was stationary. The Irvine's built an addition to the mill in 1967-68 for storage. It included a large stone and brick chimney. They have purchased the machinery for processing wool which is stored in the shed. They also restored the exterior of the mill to lap boards. The mill house still stands on private property. It was built in 1872 and is now a wing of a private residence. It was restored by H. Winfree and Dollie Beacraft Irvine. 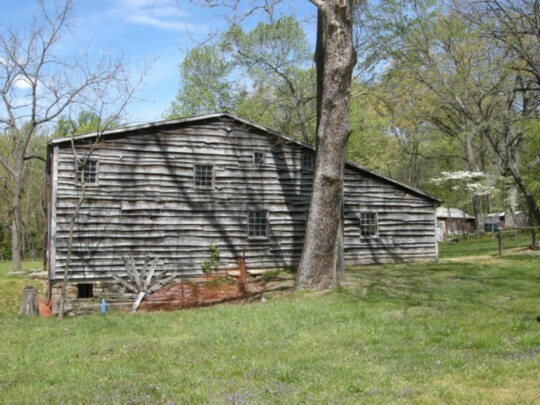 When the Irvine's acquired the mill, it was being used as a chicken coop. Unfortunately, all the records in the mill were ruined beyond recovery by chicken droppings. Ref: Cracklin District Map No. 1 of the 1879 Atlas.